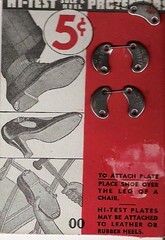 HI - TEST PLATES MAY BE ATTACHED TO LEATHER OR RUBBER HEELS. Found this is the basement of a camping shop in Northwich whilst searching for thermals for Archie's ski trip. 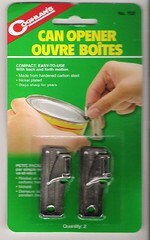 Not sure it would be that easy to use...but light to carry. Some great stencils sent by PLG. 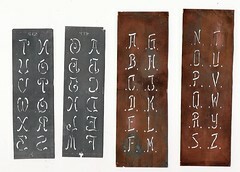 the two on the right are made of copper. 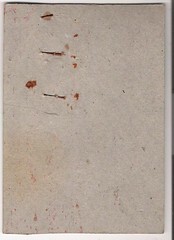 Very thin with folded over edges.